Here's to more packages dropping (literally) at your doorstep. 7-Eleven and startup Flirtey are changing the way deliveries are done. Since completing the first 7-Eleven delivery by a Flirtey drone in July, the pair has “completed 77 autonomous drone deliveries to customer homes in the United States,” according to a report. The entire process, which takes about 10 minutes on average, is rather simple. 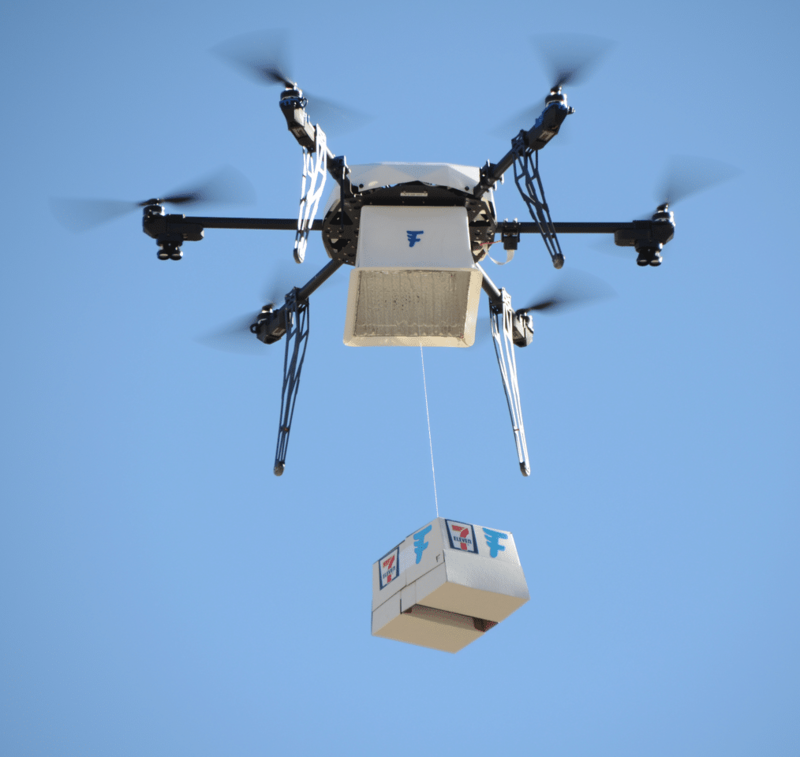 After an order is placed via an app, the 7-Eleven merchandise — hot or cold food, even over-the-counter medicines — is loaded into a custom Flirtey delivery drone container. The drone then flies autonomously to the local customer’s house using GPS. When it arrives, the drone lowers the package while hovering in place. In March, Flirtey was the first company to complete an officially sanctioned drone delivery, and the company has emerged as a leader in the field. “Flirtey’s goal is to make delivery instant, and in the process, create jobs at home for hardworking Americans and veterans,” Sweeney said. In 2017, Flirtey and 7-Eleven plan to expand their drone delivery operations even more, so the next time you want a Slurpee, you might only have to go as far as your front porch.